Is this what you imagine your cat must be doing in the litter box? While that likely isn’t the case, it might seem like it! If you’re in the market for a cat litter mat you’ll want to do some research before you just go buy one that is rated 5 stars on Amazon. Not that you’d end up with a lousy mat that way, but that mat might not be the right mat for you and your feline friend(s). Your goal is to buy a mat that will fit your particular situation, not just grab the first one that looks good. I on the other hand didn’t take my own advice when I got my first cat. I’ve bought a bunch of them and figured out what worked for me and what didn’t and why. Below are key criteria that factor into how to choose the right cat litter mat. Do a quick review of each of the major pieces of criteria before you move forward with your purchase and think through how the different types of mats might work better for your situation. Now one additional note, if you’re not familiar controlling litter tracking in general then definitely read this article first. Litter Box Type: The type of litter box you have will factor greatly into the type of cat litter mat you’ll want to consider. There are all sorts of different litter boxes out there: front entrance, low sided, high sided, completely covered, top entrance, automatic & the list goes on. 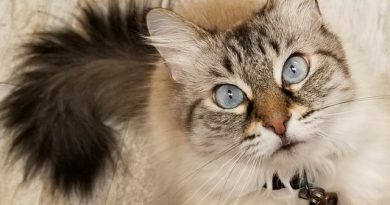 It is important to think about how the type of litter box you have factors into how litter is getting out and onto your floor. Cat Age: This runs hand in hand with the litter box type. As cats age we human servants tend to give concessions and start providing lower sided litter boxes or easy entry boxes that result in more litter being kicked all over. Older cats are also more likely to have urine accidents that can spray out of the box and into the area around it. As your cat gets old you’ll likely need a larger litter mat and also one designed specifically to be waterproof. Hair Length: Shorter haired cats tend to be more likely to kick litter out of the box and longer haired cats tend to be more likely to have litter stuck in the fur on the bottoms and sides of their paws. If you’ve got a short haired cat a multi layer litter mat that is more focused on trapping litter is probably your best bet. 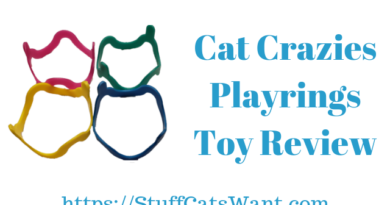 If you’ve got a long haired cat you will want to lean toward a grabbing type litter mat that will gently pull the litter off of your cats hair. Litter Type: While the great portion of people use standard clumping clay litter these days there are a wide variety of other litters on the market: paper, pine, crystals, non clumping & on the list goes. Some folks even have a CatGenie where it is imperative they capture every granule, but they need the ability to drop those granules back into the system! 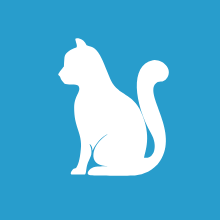 Litter Box Area: Is your litter box in a huge area like an open mudroom or is it in a small area like a closed off closet? This will drive the size of the mat you need as well as the shape of the mat. Many cat litter mats are easy to cut with a utility knife to fit a unique space, but then things like their waterproof barrier are compromised so they leak. Goals/Purpose: It may seem obvious, I want to control litter tracking! Duh! But is your goal only to stop litter tracking, or are you also interested in saving money, looking stylish, having something easy to clean, does it matter if it slips and slides a bit? Each of these factor into your decision in getting the right mat the first time. Choosing the right litter mat is a key part of combating litter tracking in your house. The market is flooded with all types of mats and in all honesty there’s a lot of overlap between feature and function. 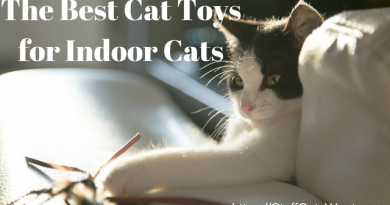 For the most part if you choose a top rated mat you’re going to do ok, but the goal is to get the right mat that covers all of your key needs for you and your feline friend! 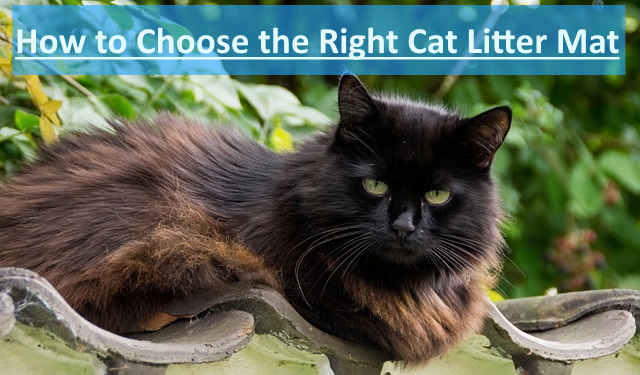 If you have any questions on selecting a litter mat then please leave a comment below or send me an email at Craig@StuffCatsWant.com so I can update this article. I did not realize there were so many considerations to take into account for a kitty litter mat! We are considering getting a kitty, my son has finally convinced me that this would be great. So we are trying to make sure we have everything we need for the new arrival. I really just feel overwhelmed. I thought it would be easy to just head to the store, get some food, some toys, litter and a box LOL Thanks for all the great information. No kidding! I had no idea when I got my first cat either. One thing I’d highly recommend if you’re going to get a kitten though is to get two kittens! There are a ton of benefits. If you work from home one is probably fine, but if you’re gone during the day the two will keep each other company! Hadn’t though about the age before buying my last litter mat. It was a total mess because as she got older peeing outside the box was a constant problem! Ugh, sorry to hear that! It certainly can be tough as cats get older and they start to have more accidents. Be sure to aim for one that’s waterproof or perhaps even one of the ones that is designed as a tray like the ToughGrip version I featured here.